Do you set New Years Resolutions? I have in the past, and was successful but as life got more busy, I kind of stopped. 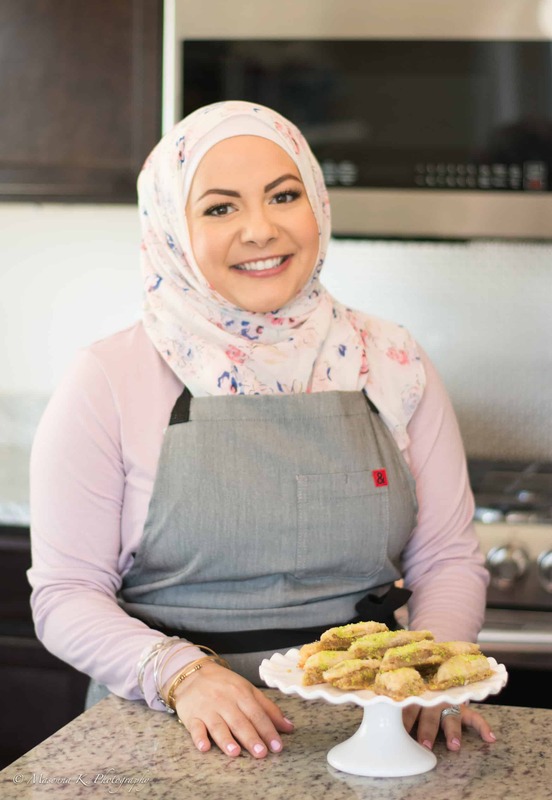 This year, I decided to set some goals in December, one being cooking more healthy, rounded dinners that I can share on the blog. I have a cute new notebook in my kitchen to start the year and the first recipe written in there is this kale pesto shrimp pasta dish! And it is amazing. 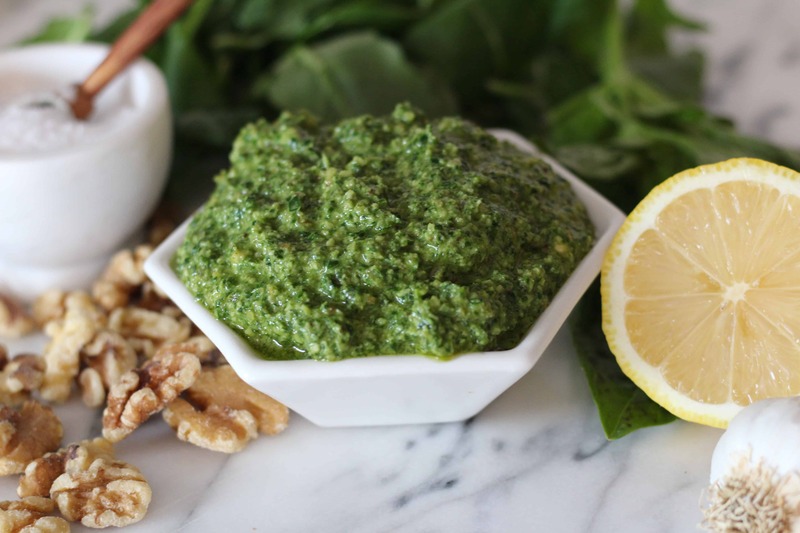 This pesto is so good that it can be enjoyed over bread, roasted potatoes, in a buddha bowl or how I ate some of it with some carrots! I love this recipe, because it comes together in 30 minutes! The sauce is made with the pesto and bit of the pasta water. 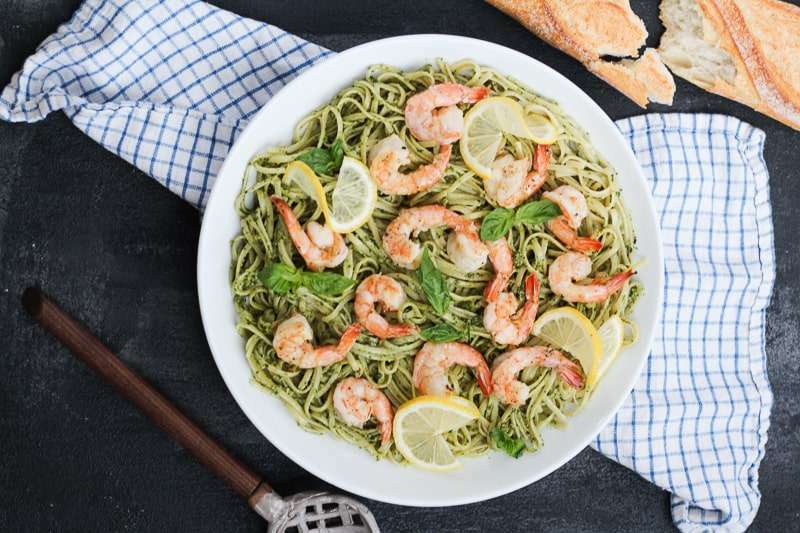 Cook your pasta to al dente, about 8-10 minutes, while cooking the shrimp and everything will come together at the right time! 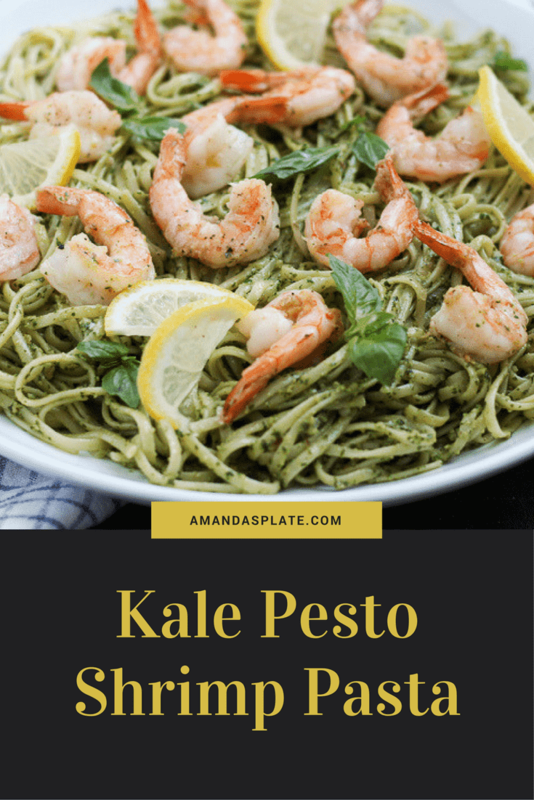 The pesto is also vegan and this recipe is dairy free! The dish as a whole can be made vegan by substituting the shrimp for tofu! In your food processor, pulse together baby kale, basil and parsley, salt, walnuts, garlic, lemon zest and lemon juice. Turn the processor on low and slowly drizzle in the olive oil. Blend until smooth. Cook 1 pound of spaghetti or linguine noodles according to package instructions. Drain pasta and reserve ½ cup of pasta water (water that the pasta was cooked in). Heat 2 tablespoons olive oil in a large skillet over medium heat. Add in the minced garlic. Cook for the garlic for 1 minute before adding in the shrimp. Season the shrimp with salt and pepper. Sauté shrimp until pink, about 3 minutes. Turn heat down to low. Add the noodles to the skillet and add in 1 cup of pesto. 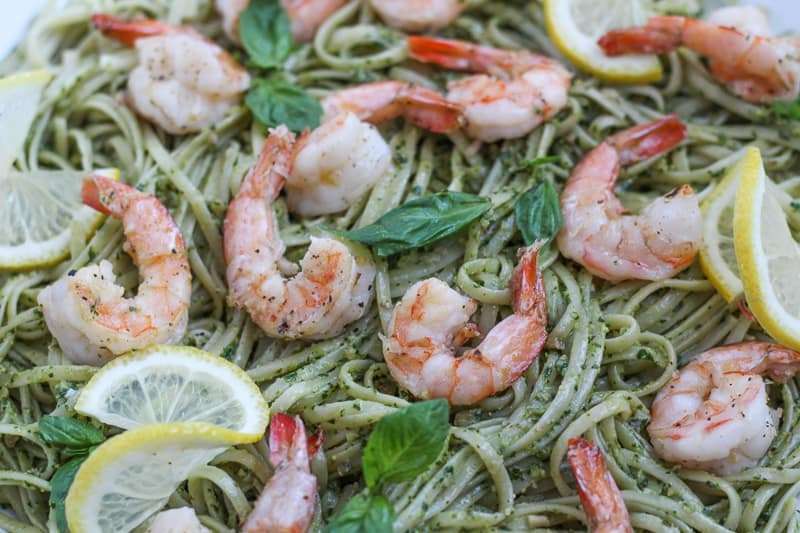 Stir to coat the noodles and shrimp with pesto. Add in ½ cup of the reserved pasta water and toss. 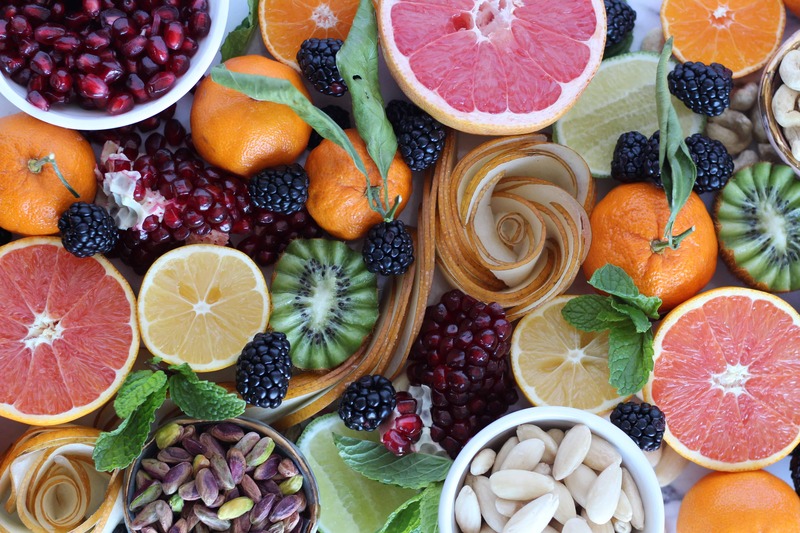 Garnish with fresh lemon slices and enjoy!